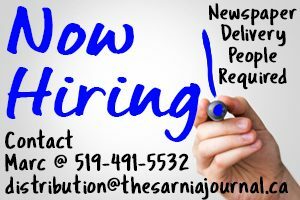 Score one more for Sarnia’s burgeoning bio-industrial sector. Imtex Membranes Corp. has announced it will break ground this summer on an $8-million to $10-million demonstration plant in the Arlanxeo bio-industrial park on Vidal Street. The demonstration plant will showcase Imtex’s patented gas separation process called PermyleneTM, developed eight years ago at the University of Waterloo. The process uses a chemical membrane to separate olefins – the building blocks of polymers and plastics – from paraffins like propane, butane and ethane. Imtex’s technology is cheaper than conventional processes and reduces capital and operating costs by more than 30%, says President Karlis Vasarais. The company already has $22 million invested in R & D, as well as a pilot project in Mississauga, he said. When Imtex started scouting around for a site to build its demonstration plant, Sarnia was suggested by one of Vasarais’ business partners involved with a new biodiesel facility in Sombra. The community also offers the technicians and operators Imtex will require, he added. If the company’s new technology can be successfully marketed at the demonstration plant, the plan is to expand it into a full-sized processing facility worth about $20 million. The initial demonstration plant will employ about 20 full-time workers and is expected to be operational in 12 to15 months. The full processing plant would take three years to complete and employ about 50. The demonstration site to be built this year is being financed in part by a $6 million grant from the federal government’s Sustainable Development Technology Canada fund. Vasarais said investor groups providing additional private investment for the plant will be announced in Sarnia next month. Meanwhile, Imtex Membranes technology is being deployed at three world scale refineries this year in the Middle East, Southeast Asia and Europe. Other companies developing similar technology in the U.S., Vasarais said. “But I argue that we are ahead of the curve and furthest along in development.” The Sarnia site will be the first of its kind in Canada, he said. PermyleneTM has been proven to consume significantly less energy than traditional separation processes and to reduce greenhouse gas emissions by up to 90%, according to Vasarais. That makes it a good fit with other environmentally minded companies locating in two industrial parks being developed by Sarnia’s Bioindustrial Innovation Canada (BIC), said Thompson. Sarnia has worked for several years to attract the bio-chemical sector. Imtex Membranes is the seventh large-scale announcement for the two bio-industrial parks known as TransAlta’s Bluewater Energy Park and Arlanxeo’s Bioindustrial Park. * Origin Materials: Doing site preparation work for a $6-million demonstration facility. * Benefuel: Announced engineering for a new biodiesel refinery. In final stages of confirming project. * S2G: Sold in 2018 before construction occurred. $20-million project moved to another jurisdiction. 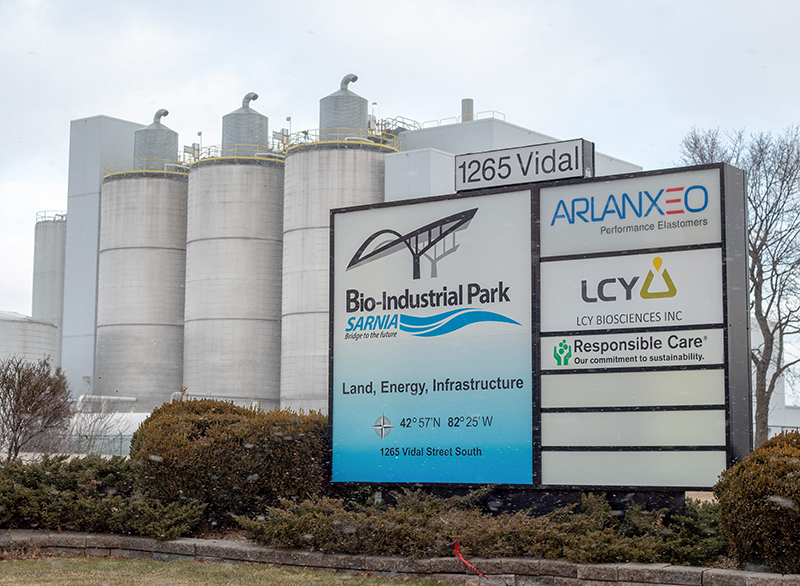 * BioAmber, now named LCY Biosciences Inc: Built in 2015 and closed in 2018 due to bankruptcy. New company has purchased it and says it will be idle for several months while being retrofitted to produce numerous bio products. * Comet Biorefining: Still finalizing investment. Deadlines moved back. * AChT Advanced Chemical Technologies: In planning stages for demonstration plant announced in 2017.